ELKOM TRADE has more than 40-years of experience in the metal industry. We specialize in top quality logistics and warehouse systems. 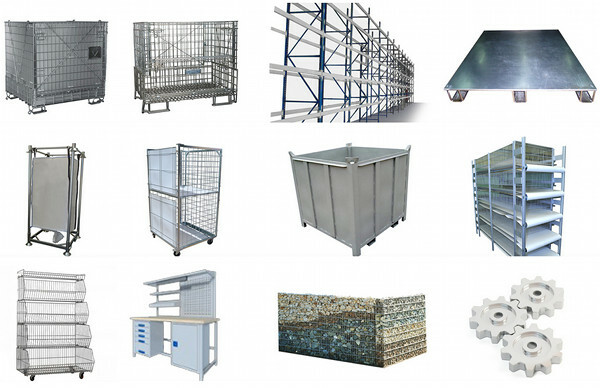 We excel in technology mesh containers, metal tops, roll containers and constructions of profiles. Elkom Trade is the first Polish manufacturer of cage systems for laying hens and quails. We equip stables comprehensively for the rest of the livestock. Producing shop and workshop furniture we develop an assortment in the modular display systems. We are still looking for modern design and technology solutions to effectively compete in new industries. Our company offers products in the field of landscape architecture and interior space, especially gabion fence. We are distinguished by quality, timeliness and service. furniture and workshop equipment . Our products are gaining recognition amongst the world’s leading companies and they are sold to markets almost all over the world. We are proud of many references and congratulatory letters.